Beyond Nutrition: Weston A. Price - Gary M. Verigin, DDS, inc. Gary M. Verigin, DDS, inc.
Not too long ago, few people knew about Dr. Weston A. Price. Today, thanks to the efforts of groups like the Price-Pottenger Nutrition Foundation and the Weston A. Price Foundation, many are familiar with his research on the relationship between diet, orofacial development and oral health. That work is extremely important. But it’s only a small part of the story. 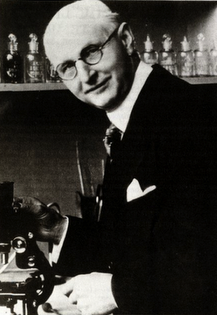 Price was the ADA’s section research chair from 1914 to 1923. Years before he began the research for which he’s most well-known, his work focused largely on dental infections. 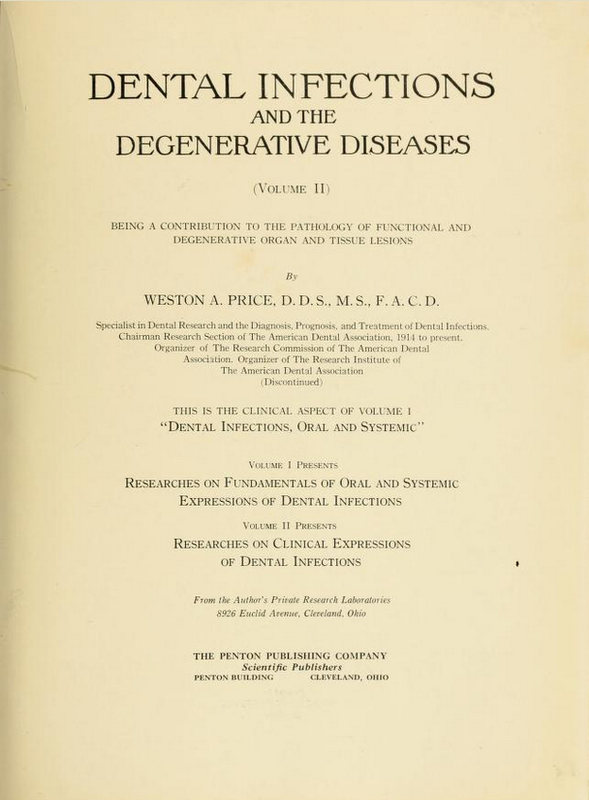 In 1923, Price publi shed Dental Infections, Oral and Systemic, and two years after that, Dental Infections and the Degenerative Diseases. In this landmark work, he showed that root canal teeth – dead, infected yet clinically asymptomatic teeth – could be used to spread neurotoxin-producing microbes. He did this by watching what happened after he sewed a human root canal tooth under the skin of a rabbit’s abdomen. Within a few weeks, the rabbit died of a heart attack. Price repeated this process with nearly 100 rabbits, using the same tooth each time. Every single rabbit died of a heart attack. For root canal teeth are still diseased teeth. And the microbes infecting them affect the body as a whole. When they do, the tooth sites are called dental foci – sites of infection or other toxic burden that cause problems beyond the mouth. Conditions that have been linked with dental foci include MS, ALS (Lou Gehrig’s disease), multiple chemical sensitivities (MCS), fibromyalgia, chronic fatigue (CFS), autoimmune disorders and cancer. That is, a dentist should have both a physician’s understanding of anatomy and physiology AND a specialized knowledge of the teeth and oral structures. Just as an ophthalmologist is a physician who specializes in eye health and a dermatologist is a physician who specializes in skin, Price approached teeth as a dental physician. They will be neither a physician nor a dentist, nor both in a sense that they will be a combination of the two as they exist today….I can see the necessity for a new type of practitioner; we could not develop them today in any institution, available for teaching that now exists. There must be developed both a new foundation of combined special medical and dental science, and a new method of application. Since first being introduced to the work of Dr. Price in the late 1970s, this is exactly the kind of dentist Dr. Verigin has striven to become – and the kind of care we provide to patients who respect the integrity of body, mind and spirit; who understand well that unless their mouth is healthy, they cannot be healthy. Read more about Dr. Price’s contributions to biological dentistry. to maximize their patients’ longevity and quality of life.